Food is predominantly insects and other arthropods, and many species take caterpillars, including hairy ones. Many species also eat fruit, while some take seeds and other vegetable matter. 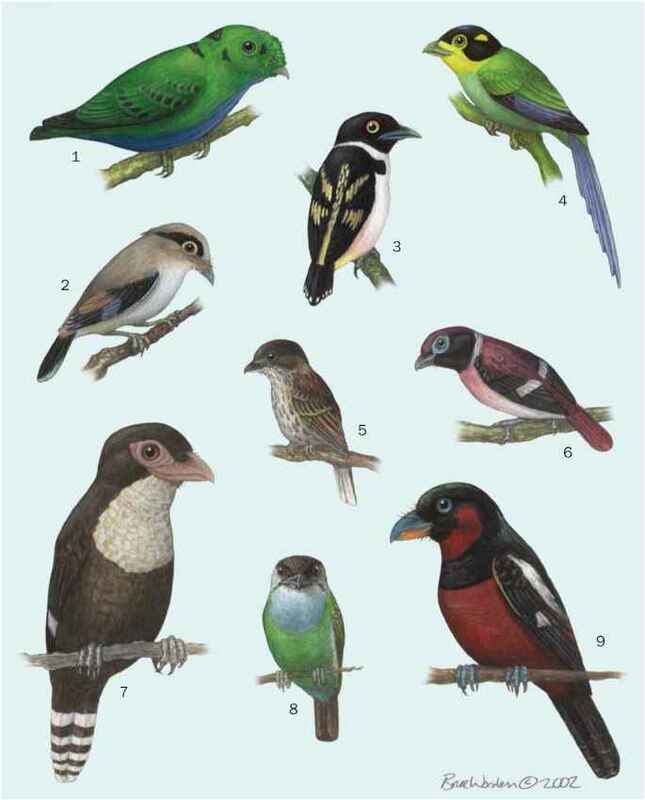 The black-breasted triller is apparently entirely frugivorous, while the varied triller (Lalage leucomela) and the yellow-eyed cuckoo-shrike are particularly attracted to figs. Minivets eat predominantly insects, buds, and berries. Most species take insect prey by gleaning in the foliage of trees, bushes, and creepers, while some also search trunks and branches. Many species also make aerial flycatching sallies, while some occasionally take prey from the ground. The ground cuckoo-shrike feeds mainly on the ground on large insects such as grasshoppers, which it runs to catch.